Vention Medical has agreed to divest its advanced technology business to Nordson and device manufacturing services business to Medplast. Nordson is acquiring advanced technology business (Vention AT) for $705m, while the terms of the deal between Vention and Medplast have not been disclosed. Based in Salem of New Hampshire, Vention AT develops and produces minimally invasive interventional delivery devices, catheters and advanced components for the global medical technology market. The acquisition will allow Nordson to expand its expertise in coronary/peripheral vascular, minimally invasive, structural heart, electrophysiology, urology, kyphoplasty and various other high growth therapeutic areas. 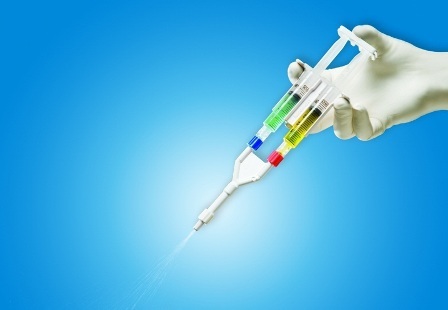 Vention AT’s products will compliment Nordson’s current portfolio of single-use fluid management components, biomaterial delivery devices and high end cannula and tubing. The acquisition of device manufacturing services business will expand MedPlast's portfolio of capabilities to offer services for the leading original equipment manufacturers (OEMs) across the globe. Vention’s business will enhance MedPlast's capabilities in assembly and packaging, helping it to provide a comprehensive suite of services to manufacture a wide range of medical products. The acquisition will also allow to expand MedPlast's global operations with 22 manufacturing facilities in major markets across North and Central America, Asia and Europe. MedPlast CEO Harold Faig said: "This acquisition will significantly strengthen MedPlast's leadership position in the medical device manufacturing industry. Last December, Water Street Healthcare Partners and JLL Partners have acquired MedPlast from Baird Capital for an undisclosed sum. Based in Tempe of Arizona, MedPlast provides engineering and manufacturing services for OEMs to produce diagnostic, orthopedic, surgical and other medical products. Image: The acquired advanced technology business will compliment Nordson’s current portfolio of single-use fluid management components and biomaterial delivery devices. Photo: courtesy of Nordson Corporation.